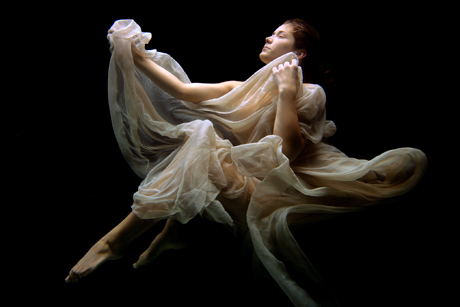 “Renaissance MMVIII,” a photographic exhibit featuring the work of Igor Kraguljac, a student in the M.S. Visualization Science program at Texas A&M, opens Friday in the Wright Gallery, located on the second floor of Building A in the Langford Architecture Center on the Texas A&M campus. 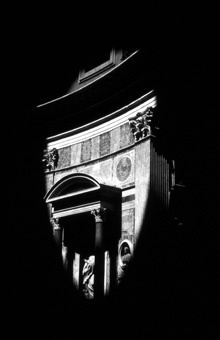 In the exhibit, Kraguljac uses digital photography to explore “chiaroscuro,” an artistic technique developed during the Renaissance, referring to the use of exaggerated light contrasts in order to create the illusion of volume in modeling 3-D objects such as the human body. Carol LaFayette, associate professor of visualization, is Kraguljac’s thesis adviser. His photographs have previously been shown in galleries in the United States and Europe. Additional photographs from "Renaissance MMVIII" can be viewed online. 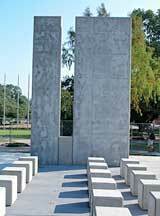 The Texas A&M University Freedom from Terror Memorial, a gift from the College of Architecture’s Classes of ’68 and ’03 designed by Texas A&M graduate architecture students, will be dedicated by Texas A&M President Elsa Murano in a special ceremony slated 6 p.m. Friday, Oct. 17. The memorial, located at the corner of Coke and Lubbock streets on the Texas A&M campus, was conceived to honor Aggies who have given their lives in the effort to combat terrorism, as well as those who guard and protect the United States from terrorist attacks. 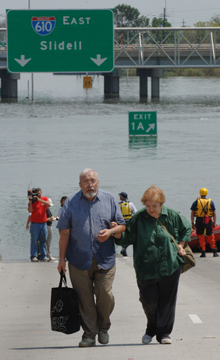 As thousands fled the rage of Hurricane Ike, officials throughout Texas scrambled to meet storm victims’ nonemergency needs by providing food, clothing and temporary shelter. Research currently under way at Texas A&M University’s Hazards Reduction and Recovery Center promises to fine tune the disaster response of Texas government and social service agencies by more accurately defining these nonemergency needs, as well as when and where they arise. Sherry Bame, associate professor of urban planning at Texas A&M, is heading this three-year, $750,000 study funded by the U. S. Department of Homeland Security. “It will be the first analysis of this magnitude of unmet disaster-related needs over time and location statewide,” said Bame, who holds a doctorate in health services and policy. San Ygnacio, Texas teems with historic buildings undergoing a preservation effort. Preservationists from the Center for Heritage Conservation at Texas A&M University’s College of Architecture are working in two dusty Texas locations to preserve the recent past, the remains of a fortified Texas town, and a much, much more distant past, a giant meteorite crater. Approximately 50,000 years ago, a giant meteorite slammed into the Earth, just nine miles away from the present-day city of Odessa. Bob Warden, director of the Center for Heritage, is using the center’s high-tech equipment to create 3-D imagery of the Odessa Meteor Crater. Actor Gabriel Bryne, left, and Texas A&M’s Roger Ulrich joined forces to promote evidence-based healthcare facility design in Ireland. 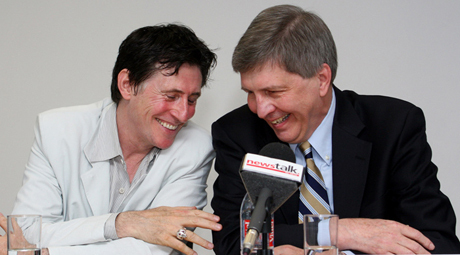 Roger Ulrich, professor of architecture at Texas A&M University, joined famous Irish actor Gabriel Byrne in an effort to raise public awareness on the benefits of evidence-based design as part of the Irish government’s multibillion-dollar effort to modernize its healthcare infrastructure. Ulrich is the holder of the Julie and Craig Beale ’71 Endowed Professorship in Health Facilities Design at the Texas A&M College of Architecture. The description of a new tool for determining the effect of the built environment of residential care facilities on their residents, developed by Susan Rodiek, associate director of the Center for Health Systems & Design at Texas A&M University, won an award for best research paper from Seniors Housing & Care Journal. Rodiek, assistant professor of architecture at Texas A&M and holder of the Ronald L. Skaggs Endowed Professorship in Health Facilities Design, responded to a need, identified by researcher L.J. Cutler, for tools to objectively capture detail about the built environment’s effect on residents at residential care facilities. She donated the $5,000 award for the paper, “A New Tool for Evaluating Senior Living Environments,” to the Design for Aging scholarship fund offered through College of Architecture’s Center for Health Systems & Design. Each year, CHSD awards a $1000 competitive scholarship from the fund to a student engaged in research and/or design on housing for older adults. The Texas A&M College of Architecture’s Tenth Annual Faculty Research Symposium will be held Monday, Oct. 27 at the Langford Architecture Center on the Texas A&M campus. The daylong research showcase, which begins at 8:30 a.m., features a series of faculty presentations previously delivered at scholarly venues around the world. This year’s symposium includes invited or refereed presentations and papers from the 2007-08 academic year. "The individual sessions comprising the symposium reflect all aspects of the designed environment," said Lou Tassinary, associate dean for research at the College of Architecture. "The categories were not predetermined, but rather reflect themes that have emerged in the work of faculty over the past year." Alex McDowell, an internationally acclaimed production designer known for integrating digital technology and traditional craft in such Hollywood blockbusters as "Fight Club," Tim Burton’s "Charlie and the Chocolate Factory", and Steven Spielberg’s "Minority Report", will deliver the keynote address at the Texas A&M College of Architecture’s 10th Annual Faculty Research Symposium. The daylong event is slated for Monday, Oct. 27 at the Langford Architecture Center on the Texas A&M University campus. Due in part to a 160-acre master park plan designed by landscape architecture students at Texas A&M, a north Harris County utility district has received $4.4 million in state and federal grants to help fund construction projects in the district’s four parks. 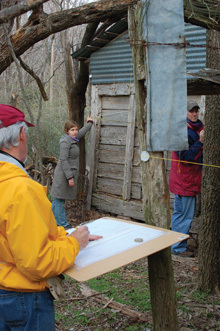 The students were led by Jon Rodiek, professor of landscape architecture at Texas A&M. “The planning they did was a critical part of the grant process,” said Bud Gessel, a board member of the Timber Lane Utility District, adding that the district had used the park's master plan to apply for several other grants. 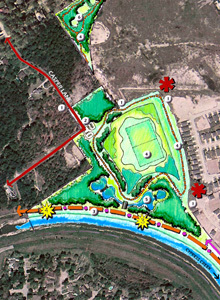 Construction is scheduled to begin in October 2008 on paved trails, restrooms and parking areas in Sandpiper Park. In another park location, a bridge across Cypress Creek and a paved trail are also being built. Last summer, Texas A&M College of Architecture students collaborated with the Oceanographic Institute of the Ecuadorean navy and the College of Geosciences to develop design concepts for an off-the-grid marine research center in one of the world’s most famous island chains - the biologically diverse Galapagos Islands. Students in summer studios led by College of Architecture professors Pliny Fisk, Craig Babe and Jody Naderi unveiled designs last July for the proposed solar-powered research center before an audience that included representatives from the Ecuadorean navy. "We tried to concentrate on understanding the Galapagos Islands," said Fisk prior to the students’ presentations. "The students did a lot of research and worked from that, developing technologies, techniques and crafts." 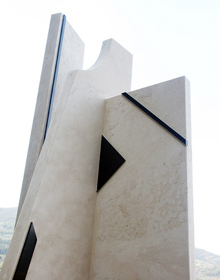 Each Sept. 11, Aggies studying abroad at Texas A&M University’s Santa Chiara Center in Castiglion Fiorentino, Italy, join their Italian hosts in a ceremony at a memorial designed by College of Architecture students in memory of those lost in the 2001 terrorist attacks. 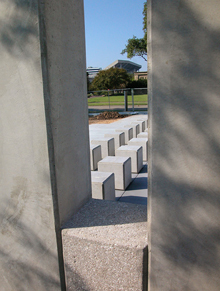 An article by Meredith Zdenek published in the Sept. 11, 2008 Battalion, highlights the history of the memorial, which was designed by Texas A&M architecture students Whitney Skinner, Virginia Sternat and Lisa Andel, and notes the continuing role the memorial plays uniting the visiting Aggie students and the town’s residents. 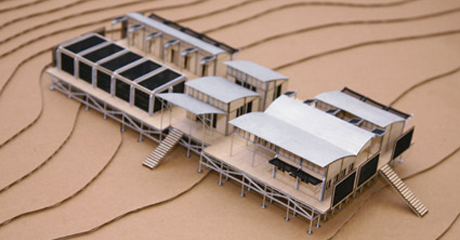 Students in Texas A&M's architecture-for-health studio created this and several other boat clinic designs. Students in Texas A&M University’s architecture-for-health design studio are readying to unveil their concepts for boat clinics — floating health facilities designed to provide healthcare services for millions of people who live in coastal areas in Vietnam and the Philippines. The public is invited to see the students present their models and drawings at 2 p.m. Oct. 1 in the Wright Gallery, located in Building A of the Langford Architecture Center on the Texas A&M campus. “Of Vietnam’s 84 million people, 17.4 million live in the Mekong River Delta, and in the Philippines nearly 90 million people live on 7,017 islands,” said studio instructor George Mann, holder of the Ronald L. Skaggs, FAIA & Joseph G. Sprague, FAIA Endowed Chair in Health Facilities Design. Graduate students in the Texas A&M Department of Visualization’s 2008 summer production class, which was taught by visualization lecturer Jill Mulholland and visiting instructors from DreamWorks Animation, beat a tight schedule and a sharp learning curve to create three videos that brought robots to life. The 30-second student short films so impressed DreamWorks that the studio, makers of animated blockbusters “Shrek,” “Kung Fu Panda,” and “Madagascar,” premiered the work at their educators forum during SIGGRAPH, the world’s premier computer graphics and interactive techniques conference, held last August at the Los Angeles Convention Center. “Not only did they master the technical parts of this, but with help from each of the experts, they made the videos quite beautiful. They blew DreamWorks right out of the water,” said Mulholland, who served as a sort of producer for the class, keeping students aware of the many deadlines and responsibilities that faced them. 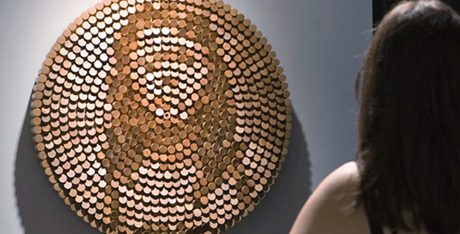 Daniel Rozin’s “Peg Mirror 2007” is an example of his interactive, high-tech art. Daniel Rozin, whose pioneering blend of technology, craft and portraiture has been displayed in galleries worldwide, will talk about his art during an Oct. 24 appearance at Texas A&M University’s College of Architecture. The college’s Artist in Residence program, its Department of Visualization and Texas A&M’s Academy of Visual and Performing Arts are sponsoring Rozin’s appearance at 5 p.m. Oct 24 in the Preston Geren Auditorium, located in Building B of the Langford Architecture Center on the Texas A&M campus. 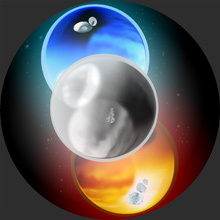 Yauger Williams, assistant professor of visualization at Texas A&M, celebrates the life–giving power of water in "The Last Snowperson", a series of images recently exhibited at a juried art show in San Francisco. The images, made of collages of Greenland’s Ilulissat glacier, contain glacieresque snowpeople in various elemental states or planetary-like situations. "This work is part of an ongoing series, ‘Ice on Parade’, aspiring to feature the sublimity of water for creating increasing presence with judgment and our environment," said Williams. 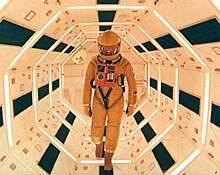 A scene from “2001: A Space Odyssey,” one of the flicks in this fall’s Faculty Favorite Film Festival. Twelve films selected by Texas A&M College of Architecture faculty members will be screened every week during the fall 2008 semester as part of the Faculty Favorite Film Festival. The screenings are slated for 7 p.m. Monday’s mostly in the Preston Geren Auditorium, which is located in Building B of the Langford Architecture Center on the Texas A&M campus. A few movies, will be shown in Langford C105. The series, presented by the college’s Bureau of Delight, was conceived and coordinated by architecture professor Tom Regan. "The Faculty Favorites Film Festival is designed to entertain and inform faculty, students, staff and friends of the college," said Regan. "Faculty members who enjoy the cinema were invited to select a favorite film that they would like to see on the big screen in the Geren Auditorium." Photography by Julius Gribou, former head of the Department of Architecture at Texas A&M University, will be on display at the gallery-cafe At the Radius, at 106 Auditorium Circle in downtown San Antonio through Nov. 10. Gribou, who headed the department from 1992 - 2000, is now executive vice provost at the University of Texas - San Antonio. His work will be displayed with two other photographers’ photos in the Joan Grona Gallery in The Radius, 106 Auditorium Circle, in downtown San Antonio. Lauren Simpson’s music video “It Had to be You” has been nominated for an mtvU award. Department of Visualization graduate student Lauren Simpson needs your vote! A music video she directed featuring Motion City Soundtrack singing "It Had to be You" is a finalist in the Best Video category in mtvU’s Woodie Awards 2008. To vote for and view Simpson’'s video, visit woodies.mtvu.com. Voting closes Nov. 7. Joe Horlen, who took the helm of the Department of Construction Science at Texas A&M University last year, has had a chance to survey his department, and he likes what he sees – but he’s also making plans to take Aggie construction science programs to the next level. "We are really very fortunate that the quality of our students is top notch. I couldn’t ask for better students," he said, "but we need to challenge them, push them, and be more rigorous in what we ask them to do. We need to raise that expectation level so they will be better qualified when they graduate to their first job and be better prepared for advancement in their companies," he said. Students will head to Belize in 2009 to join Maya civilization research. Next summer, students at Texas A&M’s College of Architecture will have an opportunity to document Maya buildings and artifacts in South America as they are unearthed by archaeologists. Robert Warden, director of the college’s Center for Heritage Conservation, spent a couple of weeks in July working at Blue Creek, a Maya site in northwest Belize. Warden went to the site to determine whether working there would be beneficial to College of Architecture students. Louis Tassinary, professor in the Department of Visualization at Texas A&M University’s College of Architecture, told a group of approximately 200 architects, designers and higher education facility planners in an Aug. 14 Internet seminar that knowledge of the interaction between neuroscience and architecture can help provide a more effective learning environment. "Supportive learning environments are fundamental to attracting and retaining students in a society that is technology rich and at times very distracting," said the webinar’s abstract. "These environments must also support the needs of a new generation of thinkers and the development of their skills and creative energy. However, the effects of addressing these criteria typically occur after construction is complete." Fulltime construction science students at Texas A&M have a new scholarship opportunity provided by San Diego-based Ledcor Construction Inc.
“We’re now big enough in the U.S. that we felt like we needed to expand our reach as far as recruitment and community involvement,” said Ledcor president Jimmy Byrd; the U.S. company is an arm of the Ledcor Group of Companies, based in Canada. “We want to reinvest in the communities where we have large pockets of employees, so we picked universities and children’s medical care,” said Byrd. Ledcor has a regional office in Dallas. J. Thomas Regan, who served for a decade as dean of the College of Architecture at Texas A&M University, addressed graduating Aggies at one of two Texas A&M summer graduation ceremonies Aug. 8 at Reed Arena. Regan spoke at the afternoon ceremony, addressing graduates from the colleges of Agriculture and Life Sciences, Architecture, Business, Engineering and Science. Regan, who stepped down as dean July 31, 2008, is remaining at the College of Architecture as a professor of architecture, pursuing a teaching and research agenda. During his tenure as dean the college established innovative teaching programs, expanded virtually every teaching, research, and service outcome measure, and more than tripled its endowment. Click here to see video of Regan’s commencement address. Two professors at Texas A&M University’s College of Architecture were honored this year for their excellence in the classroom by the Texas A&M’s Association of Former Students. Debra Ellis, a senior lecturer in construction science, and George Mann, professor of architecture and holder of the Ronald L. Skaggs, FAIA & Joseph G. Sprague, FAIA, Endowed Chair in Health Design, received the association’s Distinguished Achievement Award during the college’s fall 2008 faculty and staff meeting held Aug. 22 in the Preston Geren Auditorium. Thadd Hargett ’99, the association’s director of annual giving, presented Ellis and Mann with the awards as Jorge Vanegas, interim dean of the College of Architecture looked on. "Today we join in honoring two of Texas A&M’s finest professionals with an award that the association of former students has proudly helped present for the last 24 years," said Hargett. In addition to her teaching duties, Ellis serves as the faculty adviser for the Texas A&M student chapter of the Society of Women in Construction. She holds a doctor of jurisprudence from the Baylor University School of Law (1993) and a B.S. from Texas A&M University (1990). She joined the Texas A&M faculty in 2000. Drawings of what may be the oldest buildings near Dallas, Texas created by a team of students and faculty from Texas A&M University’s Center for Heritage Conservation won honorable mention in the 2008 Charles E. Peterson Prize competition. The Texas A&M team, seven from architecture and two from anthropology, won the award for their 2007 documentation of the Sharrock-Niblo farm 15 miles southwest of downtown Dallas. Built in the 1850s, the farmstead includes a barn with two stalls for cattle or feed and a one-room log house with a hand-dug well and a root cellar. The prize honors the best-measured drawings prepared to Historic American Buildings Survey (HABS) standards. HABS, which began in 1933, as one of President Franklin Roosevelt’s New Deal initiatives, was devised by a young National Park Service employee, Charles E. Peterson, as a way to employ one thousand architects who had lost their jobs as a result of the Great Depression. They were charged with documenting what Peterson called, “America’s antique buildings.” Today, HABS is the only Works Progress Administration program still in operation. J. Thomas Regan was honored for his decade of service as dean of Texas A&M University’s College of Architecture during an August 28 reception and program at the Memorial Student Center’s J. Wayne Stark Galleries. Regan stepped down as dean July 31, 2008 and was replaced by Jorge Vanegas, appointed by the university as interim dean. Jeffrey Vitter, Texas A&M’s provost and executive vice president for academics, hosted a brief program at the reception, during which fellow deans and university administrators noted Regan’s myriad accomplishments while sharing personal anecdotes highlighting the outgoing dean’s many admirable and unique attributes. Accolades continue to roll in for Serenbe, a 900-acre community 33 miles southwest of Atlanta, where Phil Tabb, professor of architecture at Texas A&M University’s College of Architecture, serves as masterplan architect. The Atlanta Urban Land Institute awarded Serenbe, a cluster of environmentally friendly, mixed-use hamlets, its first-ever Sustainability Award at the institute’s Sept. 18 Development of Excellence Awards. The award is given to recognize excellence in sustainable approaches related to real estate and urban development in the Atlanta area. Charles Culp, associate professor of architecture at Texas A&M University’s College of Architecture, has been certified a High-Performance Building Design Professional by the American Society of Heating, Refrigerating and Air-Conditioning Engineers. ASHRAE’s certification program identifies individuals who have demonstrated the necessary training and tools for the design of high-performance buildings that live up to their performance capability. Six former Texas A&M University College of Architecture students who have distinguished themselves as pioneers in their professions and leaders in their respective communities have been selected as recipients of the 2008 College of Architecture Outstanding Alumni Award. The 2008 honorees – J. Paul Bohn ’84, Shannon Rankin ’82, Randy Rehmann ’78, Bryan Trubey ’83, Joe Verdoorn ’70, and Mark Wamble ’83 – will be feted Friday, Oct. 3 at the college’s annual Outstanding Alumni Awards Banquet, which begins with a 6:30 p.m. reception at the Miramont Country Club in Bryan, Texas. "This year the College of Architecture is proud to honor six extraordinary former students who, through their incessant dedication, hard work and devotion to excellence, continue to inspire and fuel the college’s tradition of education, research and service at the highest levels of quality," said Jorge Vanegas, interim dean of the college. "Through the generation of new knowledge and innovations, supported by extraordinary talent, abilities, and skills, and fueled by a relentless pursuit of excellence, these former students have advanced their professions and industries, as well as the reputation of the College of Architecture and Texas A&M University. And most importantly, said Vanegas, "they serve as outstanding role models for our current students." Lucas Oil Stadium in Indianapolis, designed by Bryan Trubey ’83 of the HKS Sports and Entertainment Group, hosted its first regular season NFL game Sept. 7 as the Indianapolis Colts faced the Chicago Bears. Trubey, along with five fellow former students, will be honored Oct. 3 as an Outstanding Alumnus of Texas A&M University’s College of Architecture at the Miramont Country Club in College Station. Lucas Oil Stadium will host Super Bowl XLVI Feb. 5, 2012. Much more about the stadium is available on the Indianapolis Star’s website: http://www.indystar.com/apps/pbcs.dll/section?Category=SPORTS0305. Anne Stimmel created a design for the renovation of the campus YMCA building for her final Master of Architecture degree project. The YMCA building on the Texas A&M campus has been empty for five years due to structural concerns, but connections to the university’s College of Architecture are emerging as the building’s renovation gains momentum. Quimby McCoy Preservation Architecture was awarded the building’s renovation project earlier this month. Firm principal Nancy McCoy, who received a Bachelor of Environmental Design degree from Texas A&M’s College of Architecture in 1981, will be serving as principal in charge of the project. “Lessons From Rome: The Work of Robert Venturi, Tod Williams, Thomas Phifer, and Paul Lewis,” will be on exhibit Oct. 20-Nov. 3. in the college’s Wright Gallery on the second floor of Building A in the Langford Architecture Center on the Texas A&M campus. “The exhibit aims to render the act of traveling — the internalization and later recollection of images and experiences from foreign cultures — as a critical factor in shaping the architects’ career-long design approach,” according to exhibit organizers. Topics as diverse as climate change, the recent earthquake in China and the safety of drinking water will be discussed this fall during the Brown Bag Speaker Series hosted by the Hazards Reduction and Recovery Center at Texas A&M. On Oct. 10 Daniel Sui, professor of geography at Texas A&M and holder of the Reta A. Haynes Endowed Chair in Geosciences will present "Sichuan Earthquake and Volunteered Geographic Information (VGI): Towards a New Research Agenda" at 11:15 a.m. in Langford B 209. Outstanding Alumni Awards Banquet — The College of Architecture will honor six new outstanding alumni Friday, Oct. 3 at the Miramont Country Club. The reception begins at 6:30 p.m. and dinner follows at 7:30 p.m. The 2008 honorees are: J. Paul Bohn ’84, Shannon Rankin ’82, Randy Rehmann '78, Bryan Trubey ’83, Joe Verdoorn ’70 and Mark Wamble ’83. Black tie optional. To RSVP, or for additional information, contact Trish Pannell at 979.845.0400 or t-pannnell@tamu.edu. ASLA national meeting — The American Society of Landscape Architects' Annual Meeting and EXPO is scheduled at the Pennsylvania Convention Center Oct. 3-7 in Philadelphia. For more information, contact Thena Morris at 979.458.4306 or t-morris@tamu.edu. COSC career fair session I — Session I of the Department of Construction Science’s Career Fair continues Oct. 3. This session will feature firms from the department's Construction Industry Advisory Council. For more information, contact Shelley Smith at 979.862.7354 or e-mail shelleysmith@tamu.edum. 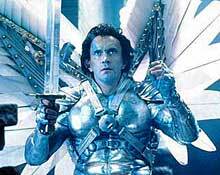 Movie: "Brazil" — A bureaucrat in a retro-future world tries to correct an administrative error and himself becomes an enemy of the state in Terry Gilliam’s surrealistic film, “Brazil,” which comes highly recommended by Carol LaFayette, associate professor of visualization. The film will be screened 7 p.m. Monday, Oct. 6 the in the room C105, building C, as part of the Bureau of Delight’s Faculty Favorites Film Series. For more information on this event, contact Tom Regan at reganjt@archone.tamu.edu. Staff retreat — College of Architecture staff will meet for a daylong retreat that begins at the Texas A&M Riverside Campus Chapel and includes a special event at the college’s Architecture Ranch. For more information, contact Jill Raupe at 979.862.2729. ASLA meets — The American Society of Landscape Architects Texas A&M Student Chapter meets 6:30 – 9 p.m. in the Preston Geren Auditorium. For more information, contact Philip Kent at philipjkent@gmail.com. ABC meets — Eric Sorgen, a project engineer with McCarthy Building Companies, Inc. will present "Problems in Estimating and How to Solve Them" 7 – 9 p.m. Tuesday, Oct. 7 at Preston Geren Auditorium. For more information, contact John Nichols, at jm-nichols@tamu.edu. Master Planning and Design of the Jersey Shore University and Medical Center, Neptune, NJ — a lecture featuring LaTonya Whitfield-Horhn, AIA, LEED AP, project manager with PBK Architects in Houston and Tushar Gupta, AIA, NCARB and Marie Hoke, AIA, both principals with WHR Architects, Inc. in Houston, will be held noon Wednesday, Oct. 8 in Room 006 of the Williams Administration Building. The lecture is part of the Architecture-for-Health Lecture Series sponsored by the Center for Health Systems & Design, the Health Industry Advisory Council, Student Health Environments Association and Global University Programs in Healthcare Architecture. For additional information, contact Judy Pruitt at 979.845.7009 or jpruitt@tamu.edu. NAHB meets — The National Association of Home Builders meets 7:15 – 8:30 p.m. in the Preston Geren Auditorium. For more information, contact Sara Warren at sarawarren86@neo.tamu.edu. AIGA meets — The American Institute of Graphic Arts meets from 7 – 8:30 p.m. in Langford C 109. For more information, contact Callie Tamplin at callie.tamplin@gmail.com. SHEA meets — The Student Health Environment Association will meet 8:30 – 9:30 p.m. in Langford A 403. For more information, contact Brian Briscoe at briand.briscoe@gmail.com. HRRC Brown Bag Lecture — Daniel Sui, Texas A&M professor of geology, presents “Sichuan Earthquake and Volunteered Geographic Information: Towards a New Research Agenda” at 11:15 a.m. in Langford B 209. The presentation is part of the Hazard Reduction and Recovery Center’s Brown Bag Lecture Series. For more information, contact Clarissa Garcia at cgarcia@archmail.tamu.edu. Architecture faculty meet —Faculty from the Texas A&M Department of Architecture meet 11 a.m. – 12:30 p.m. in Langford C 307. For more information, contact Hala Gibson at 979-845-0129. LAUP faculty meet — Faculty from the Texas A&M Department of Landscape Architecture and Urban Planning will meet 11 a.m. – 12:30 p.m. in Langford C 208. For more information, contact Debby Bernal at 979.845.1019. Movie: “Catch 22” — The Bureau of Delight’s Faculty Favorites Film Festival continues with a film selected by Mark Clayton, professor of architecture. The film will be presented at 7 p.m. on Monday, Oct. 13th in the Geren Auditorium. 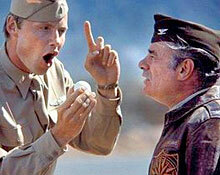 “Catch-22” parodies “military mentality” and bureaucratic society in general. Come watch Yossarian (Alan Arkin), a bombardier in World War II, desperately try to escape the insanity of the war. Learn why, sometimes, insanity is the only sane way cope with a crazy situation. For more information, contact Tom Regan at reganjt@archone.tamu.edu. AGC meets —American General Contractors Texas A&M Student Chapter meets 7:15 p.m. in the Langford B Exhibit Hall. For more information, contact Dakota Durden at kotaggie08@neo.tamu.edu. Innovative Healthcare Design — a lecture featuring James Brinkley, FAIA, FACHA, president of James Brinkley Co. in Seattle, Washington, at noon Wednesday, Oct. 15 in Room 006 of the Williams Administration Building. The lecture is part of the Architecture for Health Lecture Series sponsored by the Center for Health Systems & Design, the Health Industry Advisory Council, Student Health Environments Association and Global University Programs in Healthcare Architecture. For additional information, contact Judy Pruitt at 979.845.7009 or jpruitt@tamu.edu. Acclaimed art historian to lecture — Marilyn Stokstad, professor emerita of art history at the University of Kansas, will lecture 6:30 – 8 p.m. in Langford C105. A specialist in medieval art and architecture, Stokstad is the author of one of the most widely-used art history survey textbooks. 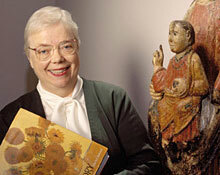 She will share her perspectives on challenges and changes in the teaching of art history over the past 50 years. The lecture is sponsored by Pearson Education, the Melbern G. Glasscock Center's Working Group in the History of Art, Architecture and Visual Culture, the Dept. of Visualization, and the J. Wayne Stark Galleries. For additional information, contact Kevin Glowacki at kglowacki@neo.tamu.edu. SHEA meets — The Student Health Environment Association will meet 8:30 - 9:30 p.m. in Langford A 403. For more information, contact Brian Briscoe at briand.briscoe@gmail.com. HIAC Golf Tournament — The Center for Health Systems & Design’s Health Industry Advisory Council’s Fall 2008 meeting kicks off with a golf tournament benefiting the center. The tournament begins 1 p.m. at Traditions Golf Course, 3161 W. Villa Maria, in Bryan. For more information, contact Judy Pruitt at 979.845.7009 or jpruitt@archmail.tamu.edu. Memorial dedication — Texas A&M’s Freedom From Terror Memorial, a gift from the College of Architecture’s Classes of ’68 and ’03 designed by Texas A&M architecture, will be dedicated at 6 p.m. at the corner of Coke and Lubbock streets on the Texas A&M campus. University president Elsa Murano will lead the dedication with several VIP guests. For more details, read the full story. HIAC meets — The Center for Health Systems & Design’s Health Industry Advisory Council meets 8:30 a.m. – 5 p.m. in the Wright Gallery, located on the second floor of Building A of the Langford Architecture Center. At 10 a.m., Christopher Colenda, dean of the Texas A&M Health Science Center, will deliver the event’s keynote address, “Recent Issues in Medicine and Their Impact on the Physical Environment.” For more information, contact Judy Pruitt at 979.845.7009 or jpruitt@tamu.edu. Visualization partners meet — The Department of Visualization will host its first advisory committee meeting with industry partners 8 a.m.– 5 p.m. in the Wright Gallery, located on the second floor of Building A of the Langford Architecture Center. For additional information, contact Margaret Lomas at 979.845.3465, or marge@viz.tamu.edu. Movie: “Mon oncle” —Bureau of Delight faculty favorites film series continues with a selection by Gerald Maffei, professor emeritus. The film will be presented at 7 p.m. on Monday, Oct. 20th in Langford C105. 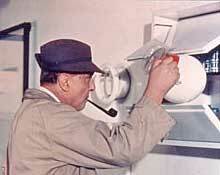 Jacques Tati’s Oscar winning film, “Mon oncle”, follows the exploits of Monsieur Hulot, who visits the technology–driven world of his sister, brother-in-law, and nephew, but can’t quite fit into the surroundings. For more information, contact Tom Regan at reganjt@archone.tamu.edu. ASLA meets — The American Society of Landscape Architects Texas A&M Student Chapter meets 6:30 - 9 p.m. in the Preston Geren Auditorium. For more information, contact Philip Kent at philipjkent@gmail.com. COSC career fair — Session II of the Construction Science Career Fair is scheduled at 8 a.m.– 5 p.m. at the Brazos County Exposition Center. For more information, contact Shelley Smith at 979.862.7354 or shelleysmith@tamu.edu. The Value and Role of STERIS Corporation, a Healthcare Capital Equipment Provider, Brings to the World of Healthcare Education and Architecture — a lecture featuring Robert J. Spampani, AIA, project manager with Mukilteo, Washington-based STERIS and the company’s corporate liaison to the AIA Academy of Architecture for Health, at noon Wednesday, Oct. 22 in Room 006 of the Williams Administration Building. The lecture is part of the Architecture–for–Health Lecture Series sponsored by the Center for Health Systems & Design, the Health Industry Advisory Council, Student Health Environments Association and Global University Programs in Healthcare Architecture. For additional information, contact Judy Pruitt at 979.845.7009 or jpruitt@tamu.edu. TSA convention — The Texas Society of Architects’ 2008 Annual Convention and Design Products & Ideas Expo will be held in Fort Worth Oct. 23-25. For more information, contact Ginger White at 979.845.0129 or gwhite@tamu.edu. 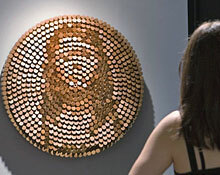 Daniel Rozin-Artist in Residence — Fall 2008 visiting artist Daniel Rozin, whose pioneering blend of technology, craft and portraiture has been displayed in galleries worldwide, will talk about his art 5 p.m. in the Preston Geren Auditorium. The College of Architecture’s Artist in Residence Series is hosted by the Department of Visualization and Texas A&M’s Academy for the Visual and Performing Arts. 10th annual faculty research symposium — “Research on the Built and Virtual Environments: Global Symposia Presentations 2008,” the College of Architecture’s annual daylong faculty research symposium, takes place at various locations around the college. For more information, contact Trisha Gottschalk, 845.2030 or trishag@tamu.edu. Movie: “O Lucky Man” — Bureau of Delight’s Faculty Favorites Film Festival continues with a selection by Lou Tassinary, professor of visualization. The film will be presented at 7 p.m. on Monday, Oct. 27th in the Geren Auditorium. “Smile while you’re makin’ it. Laugh while you're takin' it. Even though you're fakin’ it. Nobody's gonna know…” This sprawling, surrealist musical, “O Lucky Man,” serves as an allegory for the pitfalls of capitalism, as it follows the adventures of a young coffee salesman in Europe. Many actors play multiple roles, giving the film a stagy tone. For more information, contact Tom Regan at reganjt@archone.tamu.edu. Research Informing Design: Can Evidence–Based Design Strategies Influence Non-Hospital Spaces? — a lecture by Tama Duffy Day, FASID, IIDA, LEED, AP, a principal with Perkins + Will Architects in Washington, D.C., at noon Wednesday, Oct. 29 in Room 006 of the Williams Administration Building. The lecture is part of the Architecture–for–Health Lecture Series sponsored by the Center for Health Systems & Design, the Health Industry Advisory Council, Student Health Environments Association and Global University Programs in Healthcare Architecture. For additional information, contact Judy Pruitt at 979.845.7009 or jpruitt@tamu.edu. NAHB meets — The American Institute of Graphic Arts meets from 7 – 8:30 p.m. in Langford C 109. For more information, contact Callie Tamplin at callie.tamplin@gmail.com. Fall CIAC meets — The Department of Construction Science’s Construction Industry Advisory Council meets at the College Station Hilton. For more information, contact Shelley Smith at 979.862.7354 or shelleysmith@tamu.edu. Aggie 100 breakfast — Former College of Architecture students on the Aggie 100 list, which denotes the world's fastest-growing Aggie–owned or led businesses, will be honored at a breakfast 7 a.m. – noon in the Wright Gallery in the Langford A building. For more information, contact Trish Pannell at 979.458.0400. HRRC lecture — Douglass Shaw, a Faculty Fellow for the Hazards Reduction Recovery Center, will present "Perceived Risks of Arsenic in Drinking Water" 11:30 a.m. - 1 p.m. in Langford B 209 as part of the center’s Brown Bag Speaker Series. For more information, contact Shannon Van Zandt at 979.458.1223 or svanzandt@tamu.edu. Movie: “Across the Universe” — Bureau of Delight faculty favorites film festival continues with a selection by Jill Mulholland, lecturer. The film will be presented at 7 p.m. on Monday, Nov. 3 in the Geren Auditorium. Director Julie Taymor’s musical film, “Across the Universe,” is based on The Beatles songbook and set in the 60s England, America and Vietnam. This love story of Lucy and Jude is intertwined with the anti–war movement and social protests of the 60s. Over 30 Beatles’ songs are woven into the plot together with visual allusions to films “Help! “(1965), “A Hard Day’s Night” (1964), “Magical Mystery Tour” (1967) (TV), “Yellow Submarine” (1968) and “Let It Be” (1970). For more information, contact Tom Regan at reganjt@archone.tamu.edu. ABC meets —The Texas A&M Student Chapter of the Associated Builders and Contractors meets 7-9 p.m. in Preston Geren Auditorium. Elton Abbott, associate professor of practice and dean for special projects at the College of Architecture, will speak. Building Information Modeling — a lecture featuring Ron Meyer, AIA, NCARB, vice president of HKS, Inc. and Christopher Peck, J.D., AICP, vice president of McCarthy Building Companies, Inc. Texas Division, both from Dallas, will be held noon Wednesday, Nov. 5 in Room 006 of the Williams Administration Building. The lecture is part of the Architecture-for-Health Lecture Series sponsored by the Center for Health Systems & Design, the Health Industry Advisory Council, Student Health Environments Association and Global University Programs in Healthcare Architecture. For additional information, contact Judy Pruitt at 979.845.7009 or jpruitt@tamu.edu. Facility Management Industry Advisory Council — will meet in Room 292 of the Memorial Student Center on the Texas A&M University campus. For more information, contact Susie Billings at 847.9357 or sbillings@archmail.tamu.edu. Movie: “Babette’s Feast” — Bureau of Delight faculty favorites film festival continues with a selection by Phill Tabb, professor of architecture. The film will be presented at 7 p.m. on Monday, Nov. 10th in Langford C105. 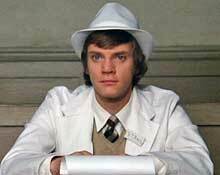 Few could have predicted that an unheralded Danish film would become one of the more esteemed European films of the late 1980s and a top “foodie film” of all time. 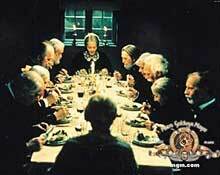 “Babette's Feast” won an Oscar for Best Foreign Film. The film’s success, even perfection of a sort, was due to a felicitous coming together of a classic novella faithfully adapted, an excellent cast with particularly memorable faces, and splendid photography capturing not only those faces but the somber landscapes, the Spartan dwellings, and of course the sumptuous food. For more information, contact Tom Regan at reganjt@archone.tamu.edu. Healthy Cities and the Design Institutes in China — a lecture featuring Chang-Shan Huang, PhD., AICP, ASLA, RLA, the Harold L. Adams’ 61 Endowed Interdisciplinary Professor in Landscape Architecture and Urban Planning at Texas A&M University, at noon Wednesday, Nov. 12 in Room 006 of the Williams Administration Building. The lecture is part of the Architecture-for-Health Lecture Series sponsored by the Center for Health Systems & Design, the Health Industry Advisory Council, Student Health Environments Association and Global University Programs in Healthcare Architecture. For additional information, contact Judy Pruitt at 979.845.7009 or jpruitt@tamu.edu. FMIAC meets — The Facility Management Industry Advisory Council meets noon – 4 p.m. at the Wright Gallery located on the second floor of Building B of the Langford Architecture Center. For more information, contact Susie Billings at 979-847-9357, or sbillings@archone.tamu.edu. Architecture faculty meet — Department of Architecture faculty meet 11 a.m. – 12:30 p.m. in Langford C 307. For more information, contact Hala Gibson, 979.845-0129. LAUP meets — Department of Landscape Architecture and Urban Planning faculty meet from 11 a.m. – 12:30 p.m. in Langford C 208. For more information, contact Debby Bernal 979-845-1019, or dbernal@tamu.edu. Movie: “2001: A Space Odyssey” — Bureau of Delight faculty favorites film festival continues with a selection by Michael O’Brien, professor of architecture. The film will be presented at 7 p.m. Monday Nov. 17 in the Geren Auditorium. Mankind finds a mysterious, obviously artificial, artifact buried on the moon and, with the intelligent computer HAL, sets off on a quest in Stanley Kubrick’s 1968 screen vision of the Arthur C. Clarke ground-breaking science fiction novel, “2001: A Space Odyssey.” The monoliths have been watching us. They gave us the "evolutionary kick in the pants" we needed to survive at the Dawn of Time. In 1999, we discovered a second monolith on the moon. Now, in the year 2001, the S.S. Discovery and its crew, captains Dave Bowman and Frank Poole, and their onboard computer, HAL-9000, must discover what alien force is watching us. For more information, contact Tom Regan at reganjt@archone.tamu.edu. AGC meets — The Texas A&M Student Chapter of the Associated General Contractors meets from 7:15–9:30 p.m., in Preston Geren Auditorium. For more information, contact Dakota Durden, kotaggie08@neo.tamu.edu. Critical Issues in the ‘How’ of Healthcare Facilities Design and Construction: Our Experience with ‘Lean’ and Integrated Project Delivery — a lecture featuring Phillip Sun, AIA, NCARB, ACHA, institutional consulting practice leader with Jacobs Carter Burgess of Dallas, Texas, will be held noon Wednesday, Nov. 19 in Room 006 of the Williams Administration Building. The lecture is part of the Architecture-for-Health Lecture Series sponsored by the Center for Health Systems & Design, the Health Industry Advisory Council, Student Health Environments Association and Global University Programs in Healthcare Architecture. For additional information, contact Judy Pruitt at 979.845.7009 or jpruitt@tamu.edu. AIGA meets — The Texas A&M Student Chapter of the American Institute of Graphic Arts meets 7 – 8:30 p.m. in Langford C109. For more information, contact Callie Tamplin at callie.tamplin@gmail.com. NAHB meets — The Texas A&M Student Chapter of the National Association of Home Builders meets 7:15 – 8:30 p.m. in Preston Geren Auditorium. For more information, contact Sara Warren at sarawarren86@neo.tamu.edu. Faculty Favorites Film Fest concludes — According to Faculty Favorite Film Festival organizer Tom Regan, the Nov. 20 screening will be something very special. If you have a recommendation, send Regan a DVD to review. Also contact Regan at reganjt@archone.tamu.edu for additional information on the film series. SHEA meets — The Student Health Environments Association meets in Langford B209 from 6–8 p.m. For more information, contact Brian Briscoe at briand.briscoe@gmail.com. HRRC Brown Bag Lecture — Lisa Bates, assistant professor of urban and regional planning at the University of Illinois at Urbana-Champaign, will present “Rental Housing Recovery in post-Katrina New Orleans” 5:45 p.m. in Langford C207. Her lecture is part of the Hazards Reduction and Recovery Center’s Brown Bag Speaker Series. AIGA meets — The Texas A&M Chapter of the American Institute of Graphic Arts meets 7 – 8:30 p.m. in Langford C109. For more information, contact Callie Tamplin at callie.tamplin@gmail.com. LAUP faculty meet — Faculty from the Department of Landscape Architecture and Urban Planning faculty meet 11 a.m. – 12:30 p.m. in Langford C207. For more information, contact Debby Bernal at 979-845-1019, or dbernal@tamu.edu. Architecture Faculty Christmas luncheon — The Department of Architecture’s faculty will hold its regular meeting followed by a Christmas lunch 11 a.m. – 1:30 p.m. in the Preston Geren Auditorium and the Langford B Exhibit Hall. Hooding ceremony — The College of Architecture’s Honors and Recognition Ceremony begins at 10 a.m. in the Preston Geren Auditorium. For more information, contact Ann Eastwood at 979-845-0289 or aeastwood@archone.tamu.edu. Fall Commencement — College of Architecture’s fall 2008 commencement ceremonies will be held 2-4 p.m. in Reed Arena. For more information, contact Ann Eastwood at 979-845-0289, or aeastwood@archone.tamu.edu. From a few very specific viewpoints the giant swaths of red and green tape adorning the walls, floors and ceilings of the Langford Architecture Center take shape. These emerging geometric figures offer evidence that once again students in Weiling He's architecture studio are exploring the visual language of Swiss-French artist Felice Varini. As He explained during a similar exercise last year, the "students impose simple 2-D shapes to the 3-D space and use these shapes to flatten the space. Although from many points of view, the viewer sees only fragmented lines, there is one single point of view from which the viewer will see a complete and flat geometric shape". The project has two primary objectives: to create a visual tension between 2-D and 3-D and to insert spatial energy to surroundings that are often ignored.